It’s been a while since I’ve featured a delicious, global recipe here on the blog, so today I’m bringing you a sweet treat associated with England’s afternoon tea tradition…scones! I just love scones and I had the opportunity to try some amazing scones during an afternoon tea at The Tea Room in London’s famed Harrods department store. 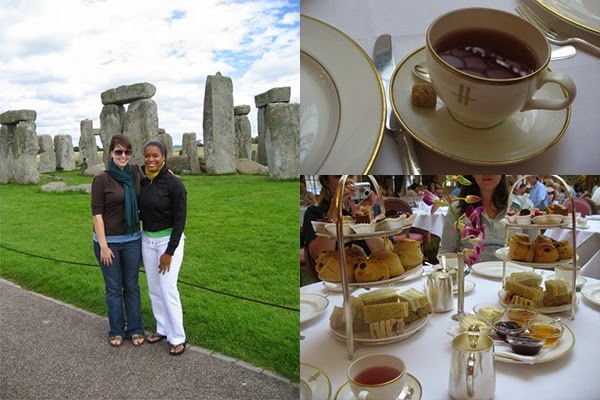 Here are a few photos from my 2007 trip to England and my wonderfully memorable afternoon tea at Harrods in London. While doing a bit of research I learned that we can thank England for connecting afternoon tea with scones, but it was Scotland that actually invented the scone. So here’s a special “Thank You” to Scotland and England! Once you try the amazing orange-cranberry scone recipe below, you’ll see exactly why this is a thank-able, and oh so delicious baked creation. So, without further ado, here is awesome home renovation & food blogger, Brooke of Be Fed Again blog. My name is Brooke Fedigan, and I blog over at Be Fed Again. 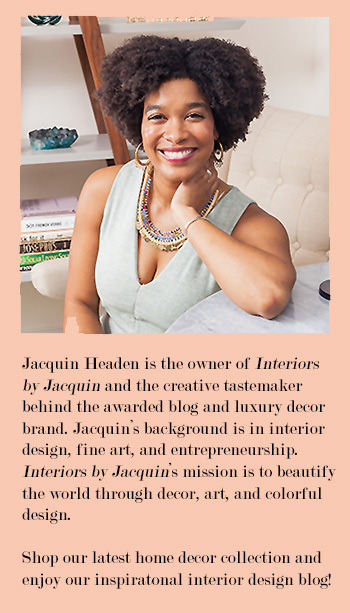 I am so excited to be working with my friend Jacquin, as a Food Contributor for Interiors by Jacquin. Cooking is my passion. I am happy to spend hours working on a recipe until it is just right, and share with everyone to enjoy. Today, I am going to share with you my Orange-Cranberry Scone recipe! Read on for this great recipe! Preheat oven to 400 degrees F. Line baking sheet with parchment paper. Sift flour, sugar, baking powder, salt and baking soda into large bowl. Mix in 1 Tablespoon orange peel. Add butter and mix in with pastry cutter until mixture resembles coarse meal. Mix in dried cranberries. Gradually add buttermilk and 1 Tablespoon orange juice, tossing with fork until noise clumps form. Turn dough out onto lightly floured surface. Knead briefly to bind dough, maybe 4 turns. Form dough into 1 inch thick rectangle. Cut rectangle in half lengthwise, then cut out squares. Then, cut squares at a diagonal making a triangle. Transfer wedges to prepared baking sheet, spacing 2 inches apart. Bake until tops of scones are golden brown, about 25 minutes. While the scones are baking, make the glaze. Combine 1/2 cup orange juice, 1 teaspoon grated orange zest and confectioners sugar. Mix well. Once scones are golden brown, remove from oven and let stand on baking sheet for 5 minutes. Spoon orange glaze over each scone and let stand another 5 minutes. Serve warm or at room temperature. These are so delicious and can be stored in an air-tight container for up to 4 days.